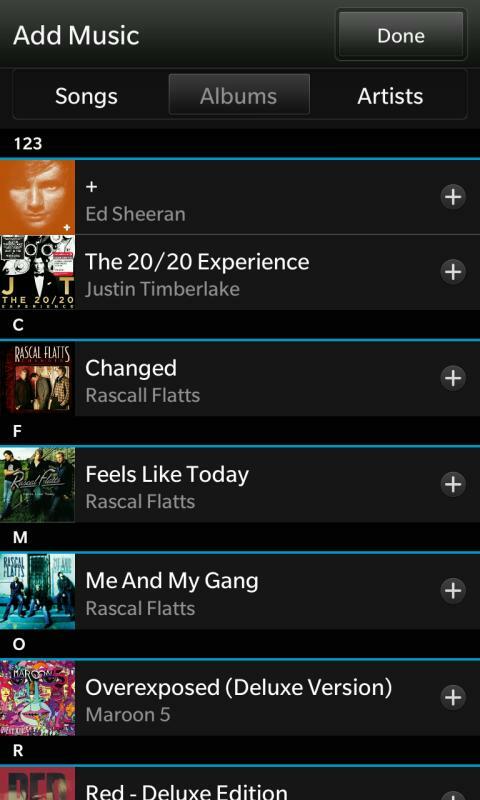 BlackBerry Z10 Music Player App Review – Is It Any Good? One of the few things I do on my mobile device now on a daily basis is listen to music. Whether it be my own music I’ve loaded up or streaming over my favorite music service, It’s something I find myself doing more often now than I did before. I think it’s mainly due to the fact that I really dislike a lot of music that is out now that I hear on the radio and would much rather put together a playlist of music I actually want to listen too. Now, with my iPhone, I never really loaded up any music to it because I hated using iTunes to sync my music. I don’t know why, but I just never liked using it. With the BlackBerry Z10, it’s as easy as me just dragging music onto my SDHC card and loading it up like that. I can even use BlackBerry Link, though I prefer just dragging it onto my card. Because of this, I’ve begun using my Z10 as my primary music listening device at home and in my car via Bluetooth speakers or my Bluetooth link in my vehicle. 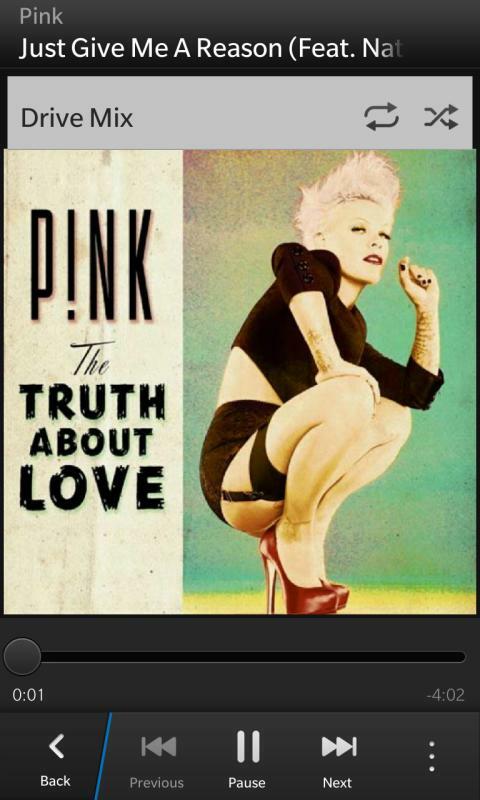 Luckily, the music player app on the BlackBerry Z10 is quite good and easy to navigate. On the main app screen, you’ll be greeted with a grid of albums. You usually start off in the “Recent” tab of the app which will show you the most recently albums added as well as the most recently albums played. You can expand this list by tapping on the little drop down arrow at the bottom right hand corner of each section. I find the recent section quite useful for getting to the last played albums quickly and easily. Just tap on the album you want to listen to and it will take you the album with the complete list of songs in the album. Tap on the song you want to play it. There are two other tabs below as well that you can choose from to view your albums. One is the Library tab which will show you your entire library of albums arranged in alphabetical order. You can choose to display these by artist, albums, or genres. Again, tapping on an album brings up the full list of songs in that album. The other tab is a Playlist tab. This tab allows you to create your own playlists so that you don’t have to go digging through your albums for your favorite songs. It’s quite easy making a playlist. 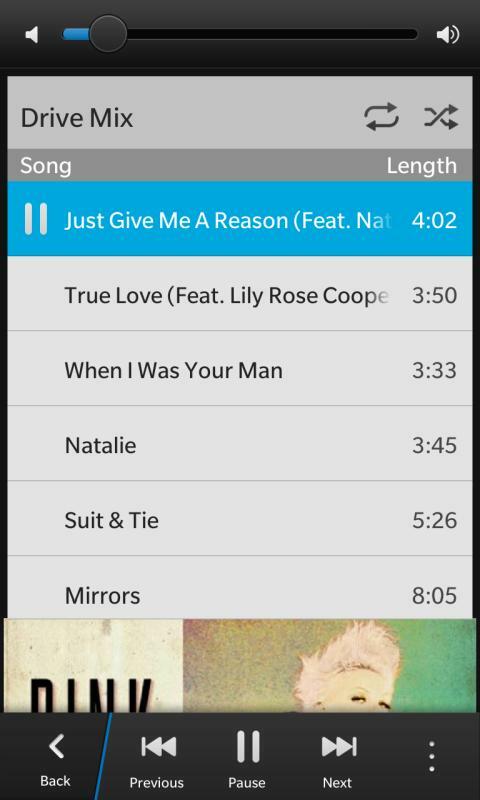 Just tap the the Create icon at the top and you can begin adding individual songs or whole albums. Browse songs based on title, album, or artist. When you find the song you want, just tap the (+) sign to add it. You can also tap the (-) sign after to remove it. After you’ve added all the songs you want, tap Done and name your playlist. That’s it. To play music, tap any song from your library and it will begin to play. The cover art will be featured at the center with the title up above and play controls below. You can scrub through the song to get to specific point as well as the usual previous, pause, and next buttons. If you want to view the list of songs in the album or playlist, no need to tap back. Instead you can tap on the cover art and it will swipe down revealing all the songs you can choose from. This is actually a neat little trick and keeps the play controls on screen still. Tap the portion of the cover still showing to have it pop back up. Lastly, you can pause and resume your music using the physical 3rd button that is between the two volume buttons. If you press on one of the volume buttons, a small Music app popup will appear that brings up the music player controls. 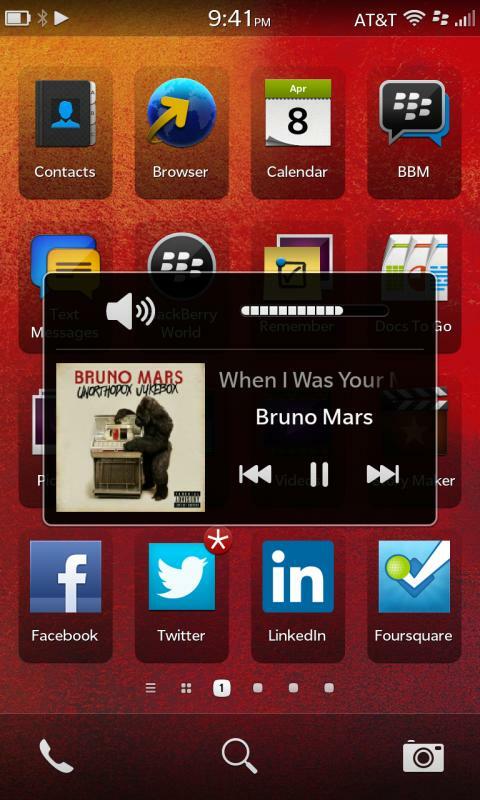 This makes it easy to control your music from any screen you are on on the BlackBerry. The only thing that needs improving in my opinion is that when on the lock screen and your listening to your music, there seems to be a small glitch where the mini-player will not show up. Instead, using the volume buttons will only adjust volume and you’ll need to swipe the lock screen away to get to the music player app to change tracks. This happens once in a while and I’m not sure why. Sometimes it will work from the lock screen and sometimes it won’t. It’s a minor annoyance and one that I hope gets fixed in a future update. 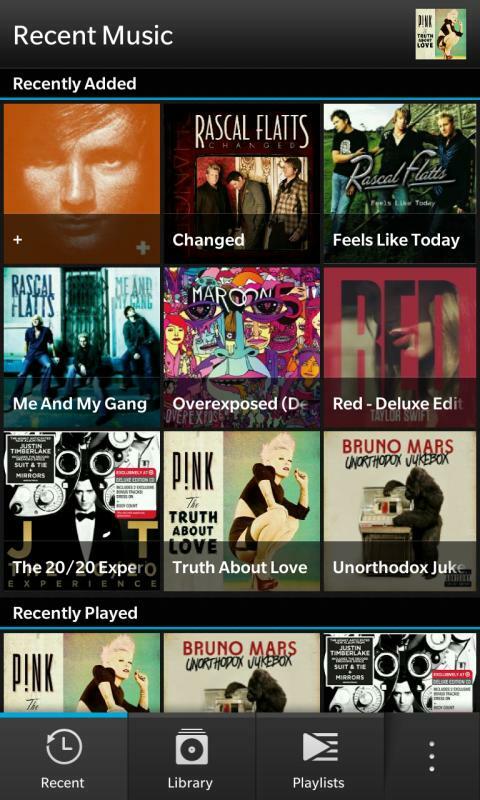 Overall though, I quite enjoy using the BlackBerry Z10 as a music player. It’s easy for me to load up my music and the user interface is clean and simple to use. If your music is tagged correctly before uploading it to your SDHC card, all your music will be neatly organized and selectable in a variety of ways which makes it simple to find the music you want, quickly. This also makes it really easy to create playlists on the go so you don’t have to fiddle with it while your driving or doing other tasks. BlackBerry did a great job with the music player app and I’m glad to see they are on the right track when it comes to providing quality apps for leisure as they do for business.